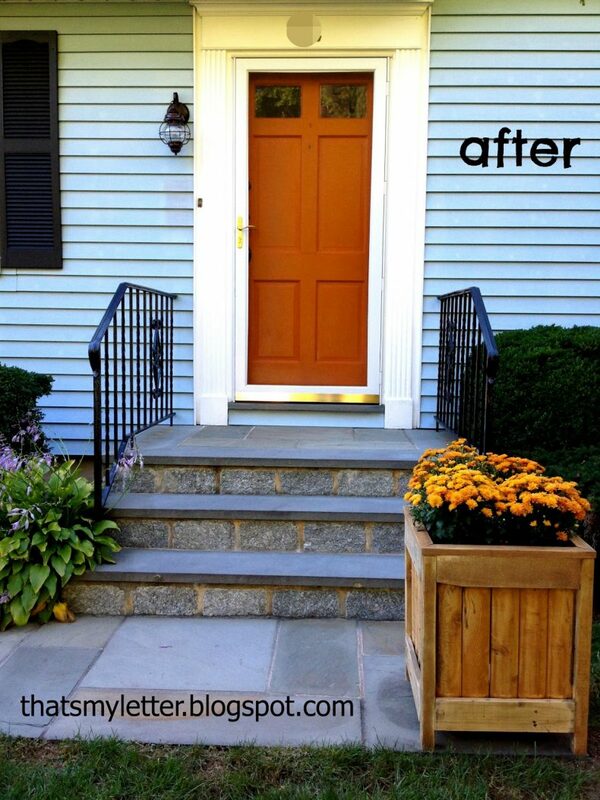 Painting your front door is the cheapest and easiest way to give your home instant curb appeal. 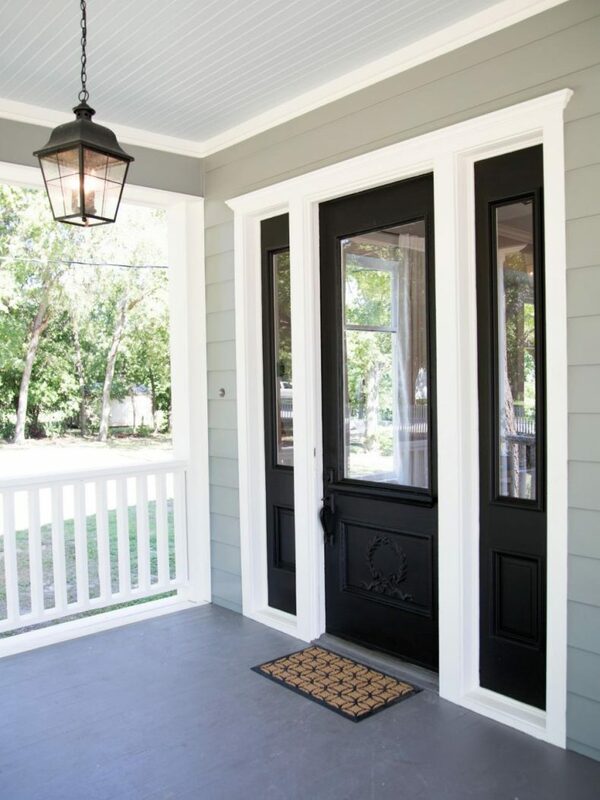 However, choosing the right paint color for your front door can be such a difficult decision! 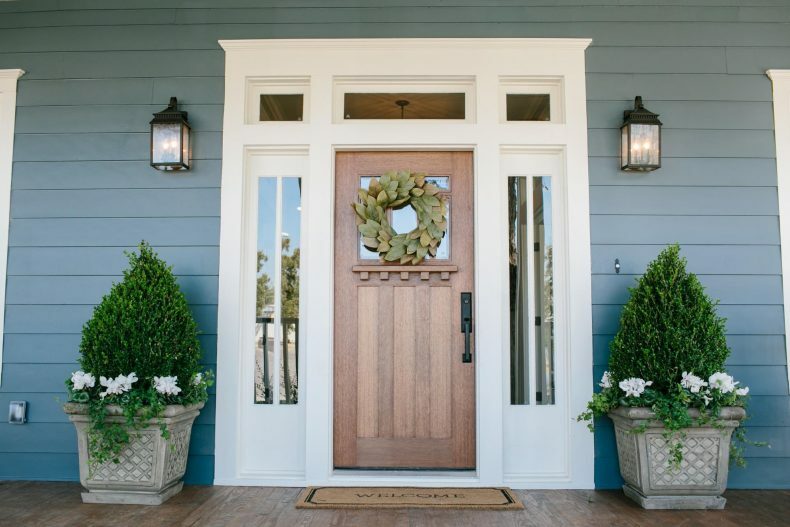 I’ve rounded up over 27 of my favorite front door paint color ideas to help inspire you. 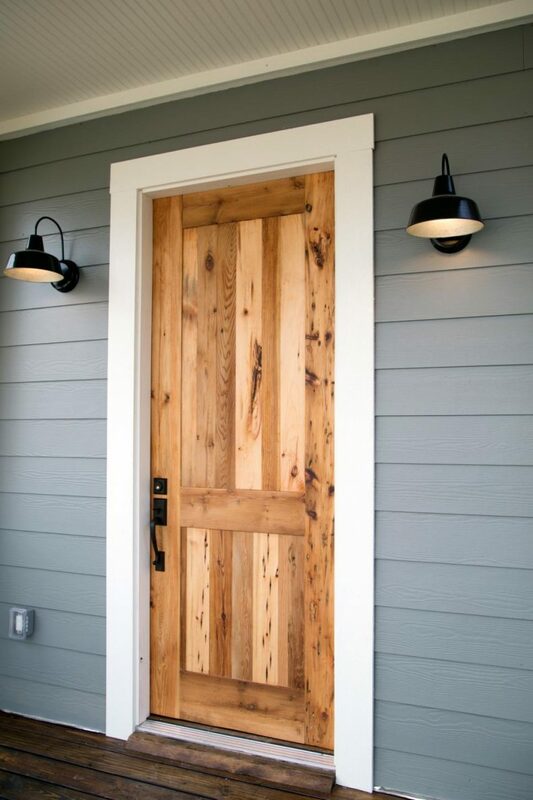 (The paint colors with asterisks next to them mean that the original color of the door is unknown. I’ve chosen a close color match for you to consider.) Enjoy! 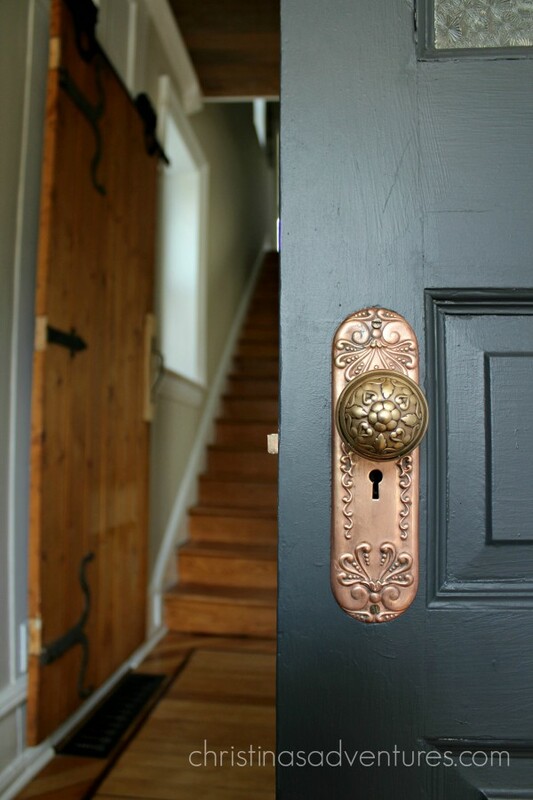 “What color is your front door?” is the NUMBER ONE question I get asked here on Home Stories A to Z. 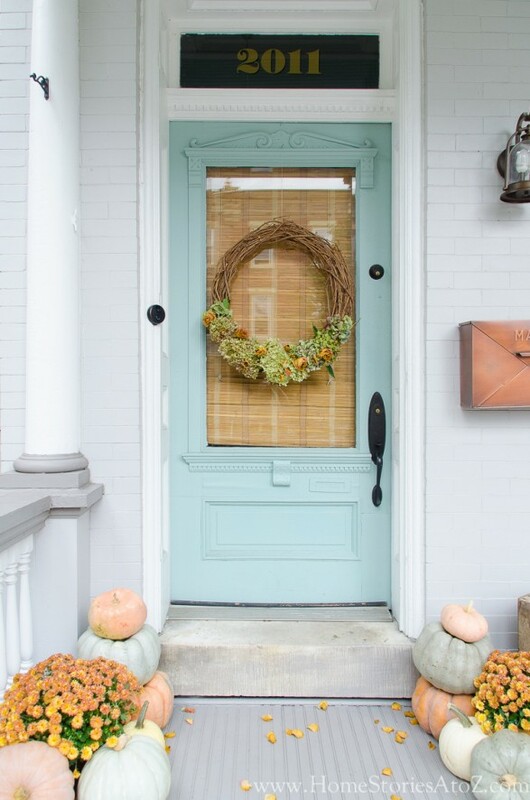 🙂 My Wythe Blue front door still makes me happy each time I enter it. 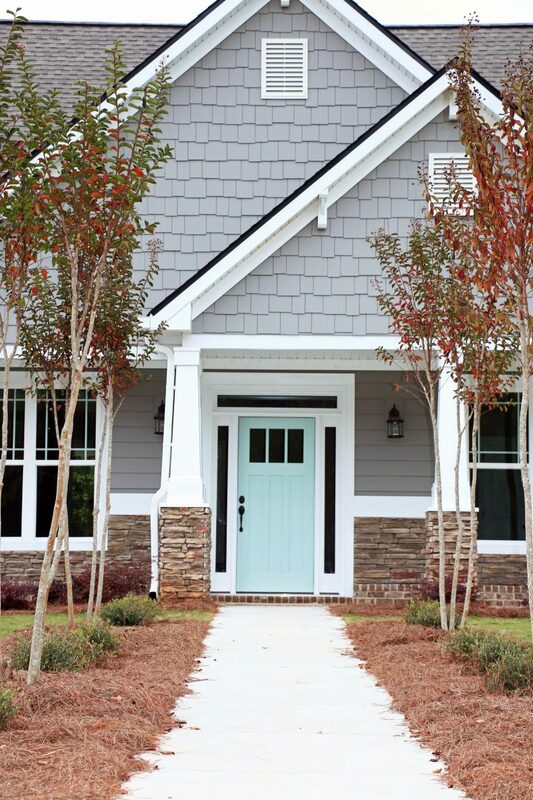 It’s a great calming color and looks fantastic with gray. 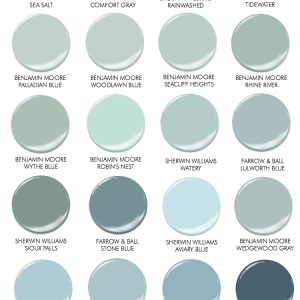 To see all of the paint colors I used on the exterior of my our click here. 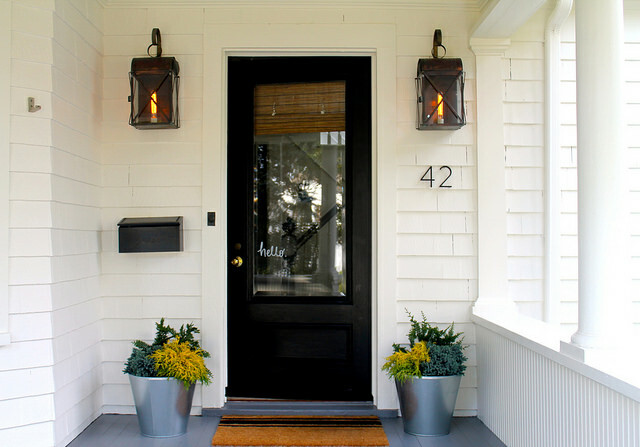 NOTE: Southern Living states that this door is painted with Benjamin Moore Gentleman’s Gray which is a dark navy color. However, speaking from experience with this shade I am not sure this is correct (or the photo editing and reflective gloss paint has completely distorted the paint color). 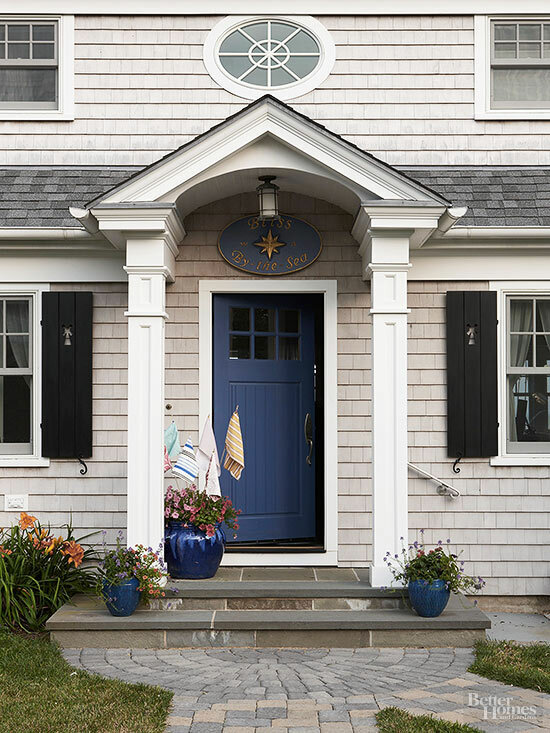 If you want a blue paint that is truer to match to this door, then you might want to consider Benjamin Moore Caribbean Azure. 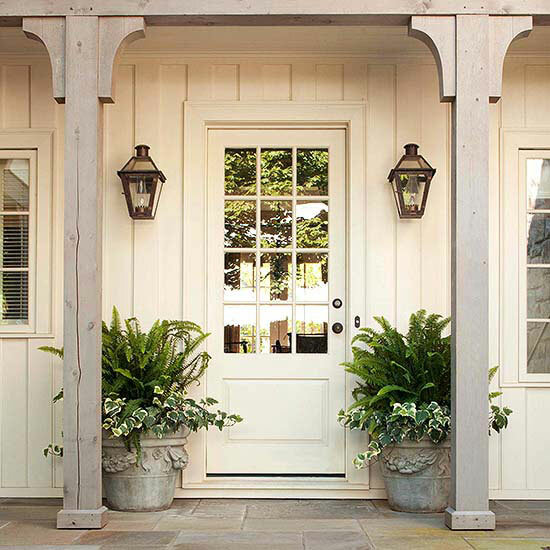 If you love the look of unpainted wood, take a look at these options! 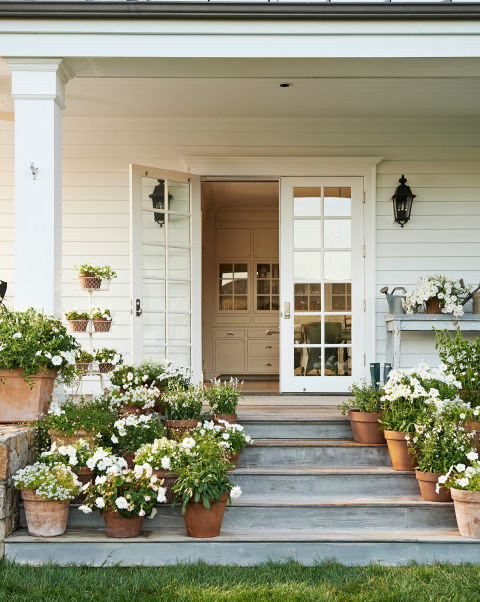 My home is a 1958 white stucco rancher with an added peaked roof front porch flanked by heavy support columns. 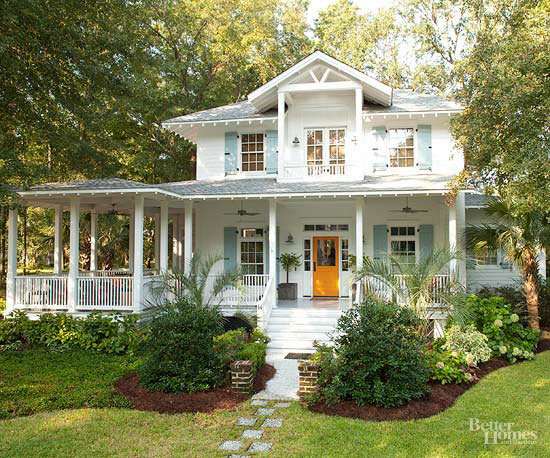 I want curb appeal!! 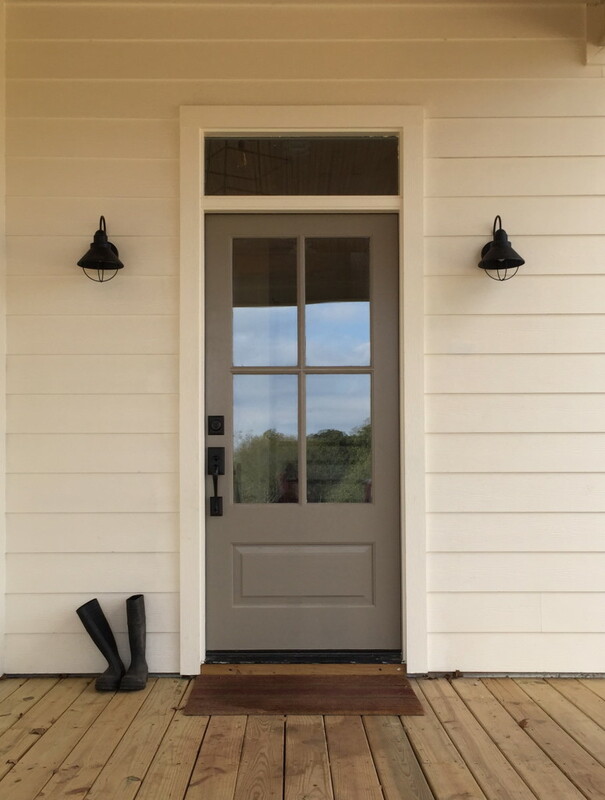 Painting the front door seems the place to start. 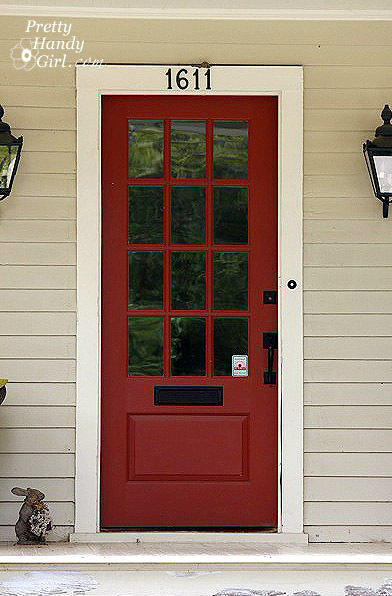 Bay Red is attractive to me. 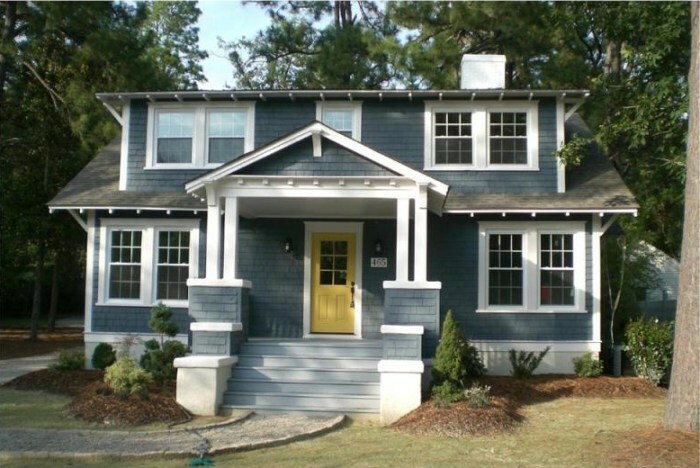 Would red go well on this old house? 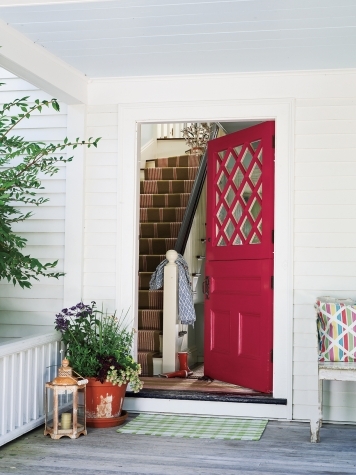 I think a red door on a white home looks great! Love all these colors. 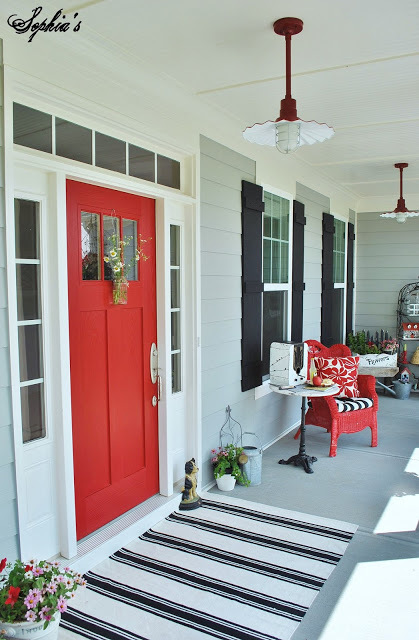 I have a White House with a red tin roof, and want to paint my front door. What color would look best? I want it to pop without looking out of place. 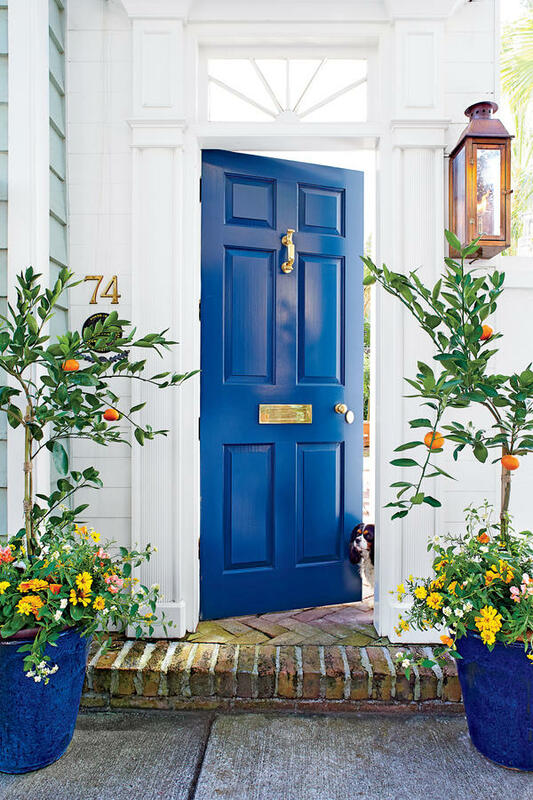 Thank goodness there are people out there who like colour on their front doors. 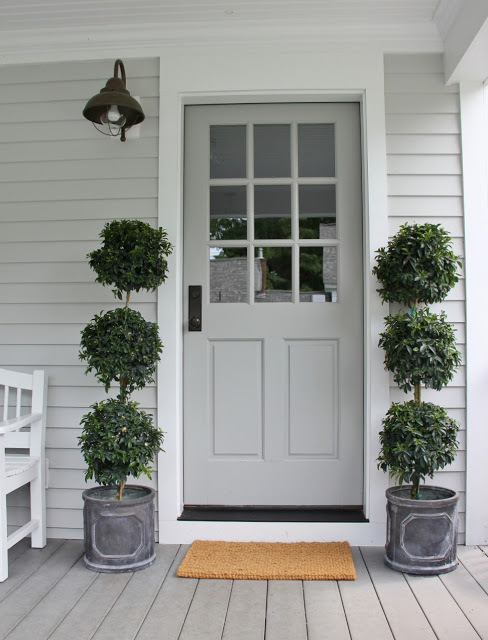 So many around where I live have white doors because they cost less. 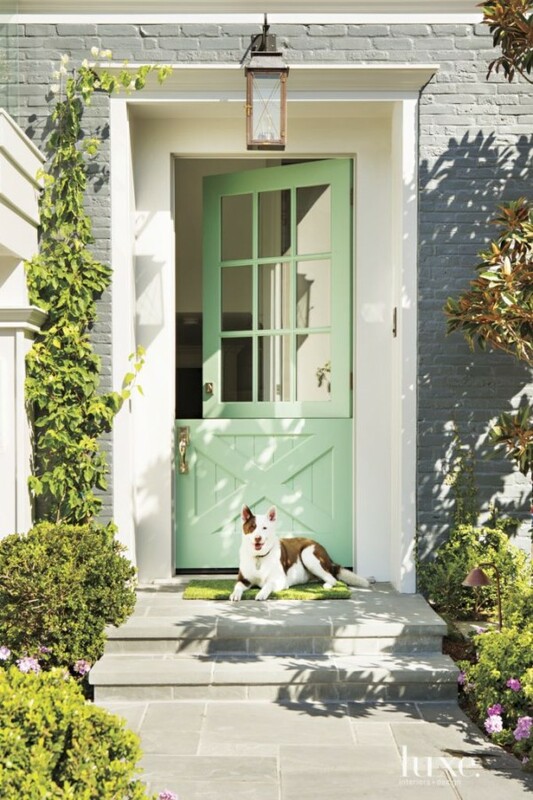 Since I painted my door turquoise everyone on my little street have painted their’s too. It is a much more interesting looking street now. What creativity. Headed out to select a color tomorrow. Thank you! 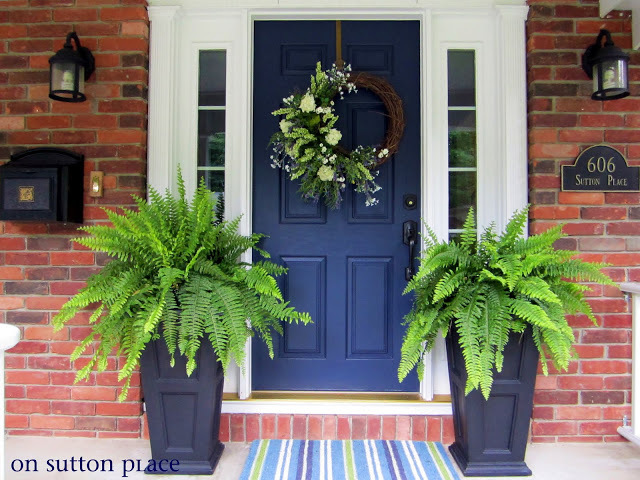 What a great selection, I love the wreath! THOSE are gorgeous! 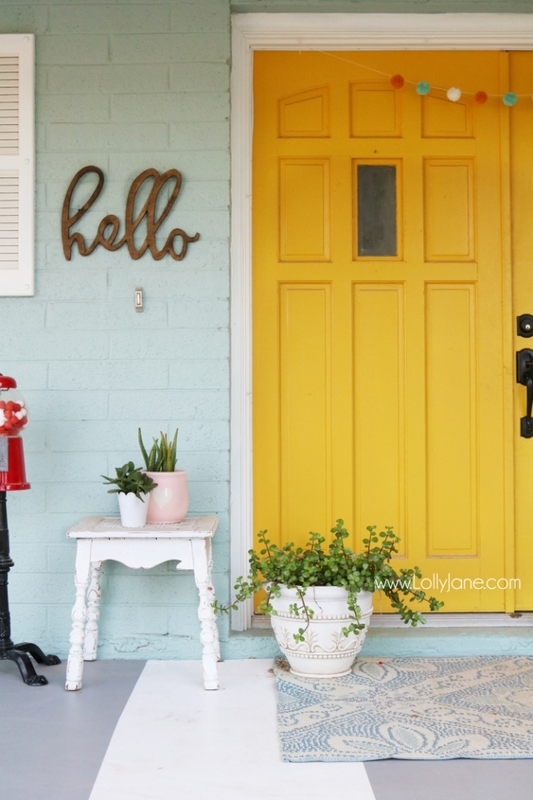 LOVE that “pop-out-at-you” yellow door above! 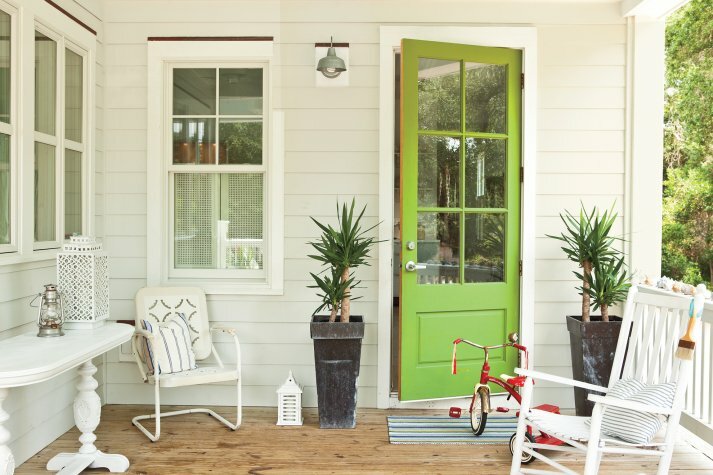 Grand, fun, interesting, innovative colors for that simplest of home necessities. 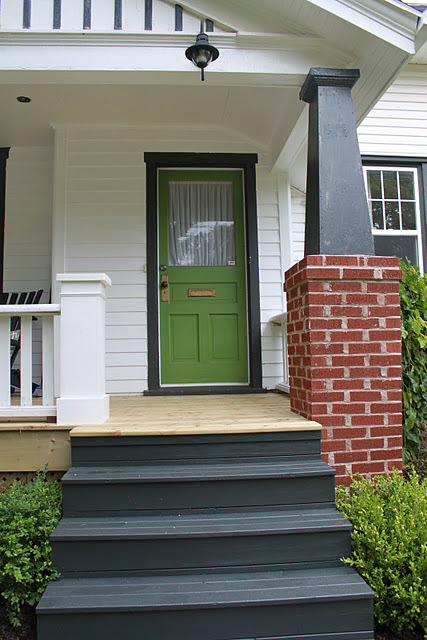 How fun some of these doors become in their, I assume it is a , new color to WOW those about to go ‘Ding Dong’! 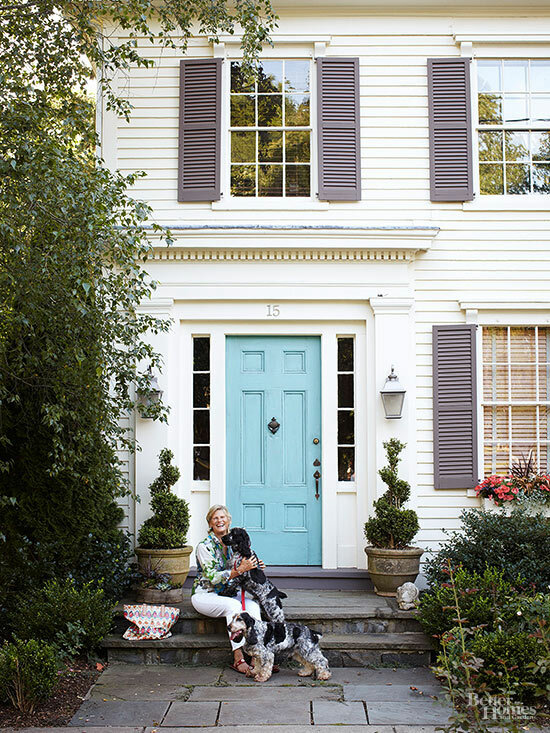 Some say ‘Y’all come on in” Some – “Better watch-out for the Mistress of THIS house”! Some “We are a tad formal in here so be prepared”! Some say “Okay – this place is neat and clean so be prepared to remove your shoes AND no pets, please”. 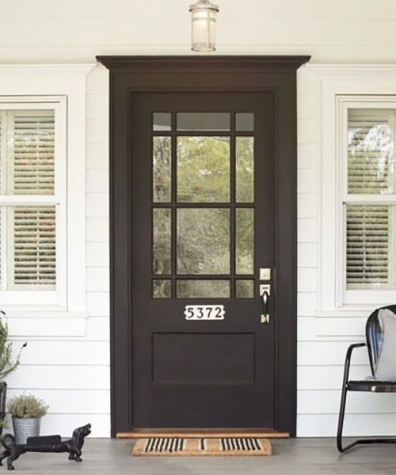 What do you want your door to say to those passing by, those pesty unwanteds, those package delivery people, those who are so welcome in your home. 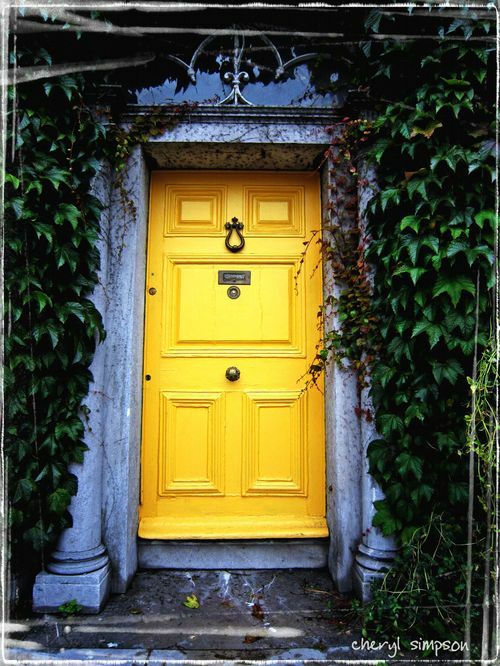 WHAT DO YOU WANT YOUR DOOR TO SAY _ I’m amusing, captivating, elegant, exotic, engaging, provocative, stimulating, pleasurable, rivitingly funny or MOST inviting? 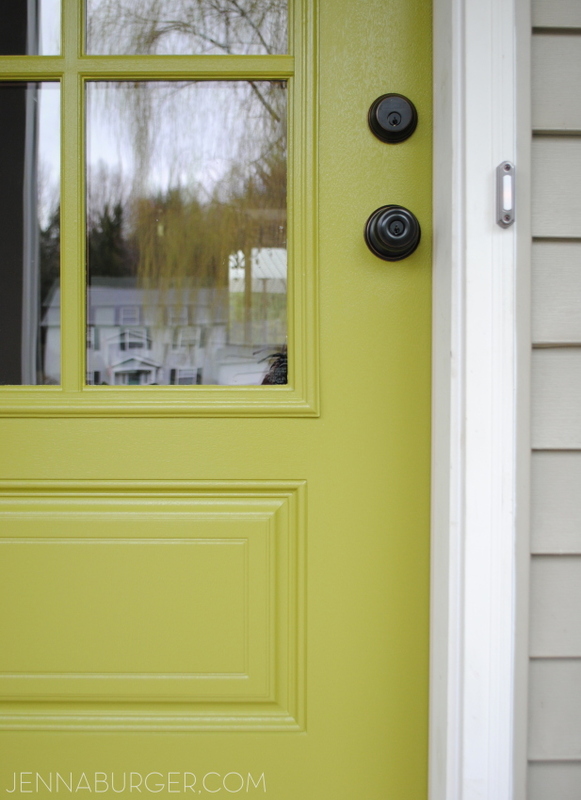 Your new door color tells so much about the person who lives in this home, doesn’t it? Wow, what a great roundup! 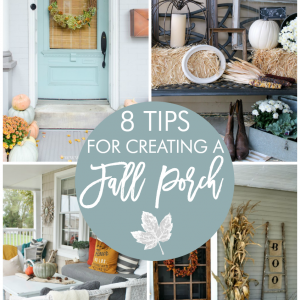 You have us thinking its time to find the next great combo for our small town!